I normally don't sign up for apps like this because I am disabled and rarely get out to use it. 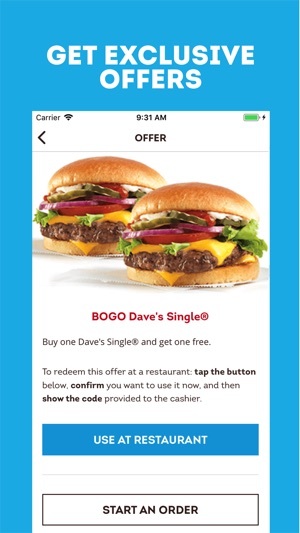 But I saw this advertisement on my iPhone that promised that if I downloaded the app now I would get a free Dave's single every time I made any purchase at Wendy's for a whole year. Unfortunately, this "special offer " doesn't show up on the app and no Wendy's I go to has heard of this. To top it off, the Wendy's I go to don't have mobile ordering anyway, and the special offers are only good for one use a month. I like the salads, but we get the same offers with the newspaper and I can send my husband in without having to take me out to use the app. Then I have to go inside anyway to pay and make sure that they get my order right, something Wendy's in my neck of the woods seems to have difficulties with. 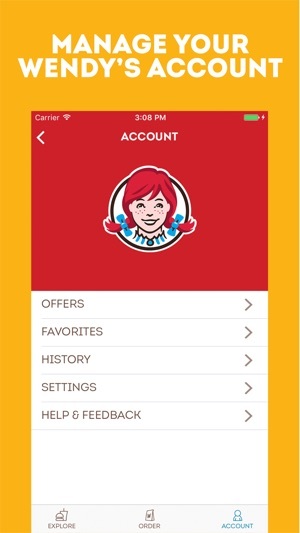 It's not worth the effort to get $2 off a salad once a month to give my information to Wendy's to sign up for this app. Don't fall for the free Dave's single with every purchase for a year scam. It doesn't exist. 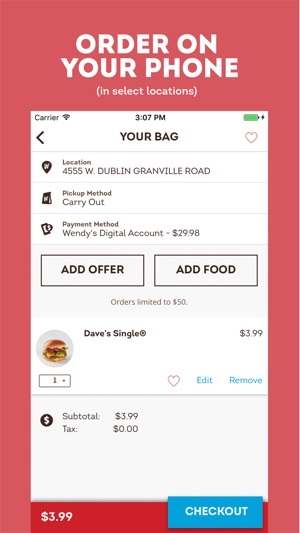 Wendy's is a good fast food restaurant, and with coupons it's in line with others, but this app is useless unless you live somewhere that it actually allows you to order from the app. We're disappointed to hear about your experience with the app. Please call or text us at 888-624-8140 so we can assist you further. 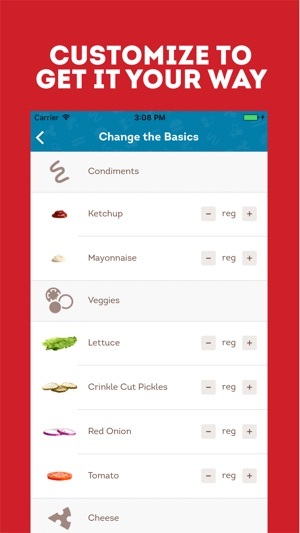 Was excited to give this app a try, as I frequently mobile order from several other restaurants and have loved the seamless, user friendly experience. I have never had a single issue with any other mobile ordering app. I placed my order, went through the drive through (my card had already been charged, at this point) to be told my mobile order required an order number to be picked up, which is pretty common for mobile ordering apps. However, the app did not provide me with one, and I didn’t not receive on via e-mail either - not in my inbox or in spam. The instructions the app provided were to just go to the drive through and announce that I had a mobile order. 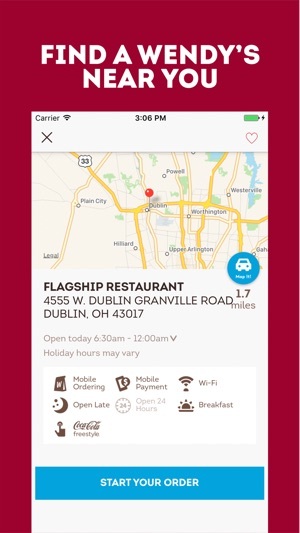 The staff were very friendly and was very apologetic, and were able to give me my order once I showed proof of payment, but this has apparently been a recurring issue for them...please get this app fixed, it is not only incredibly inconvenient as this took 30+ minutes to settle, totally defeating the purpose of mobile ordering, and must be equally inconvenient and stressful for the staff of these restaurants. I've been using mobile orders a lot lately. Today I decided to try Wendy's for the first, and last time. I placed my order and drive to the designated Wendy's, Wendy's 39, just to be told by a Target ride lady that I had to come inside. I came inside, waited in line for 15 minutes. When I told the lady that I had a mobile order she asked if I wanted it crispy or fried. Again I said mobile and she didn't understand. I held up my phone and said I already have my order here. The manager told me that they didn't do mobile orders. When I explained and looked up order on the phone to find the Wendy's number he said that it was a Wendy's about five miles away. I drove there and once again went through the drive through. I was again told that they did not do mobile orders, though it is posted on the doors. I asked if they were not Wendy's 39 and I was told no, that was the first one I went to. Wendy's had obviously rolled out a program that had not been put in place at the store level. I waited a lot of time today dealing with this but never again. Deleting the app. We're disappointed to hear about this! Please call or text us at 888-624-8140 so we can make this right. Thanks!